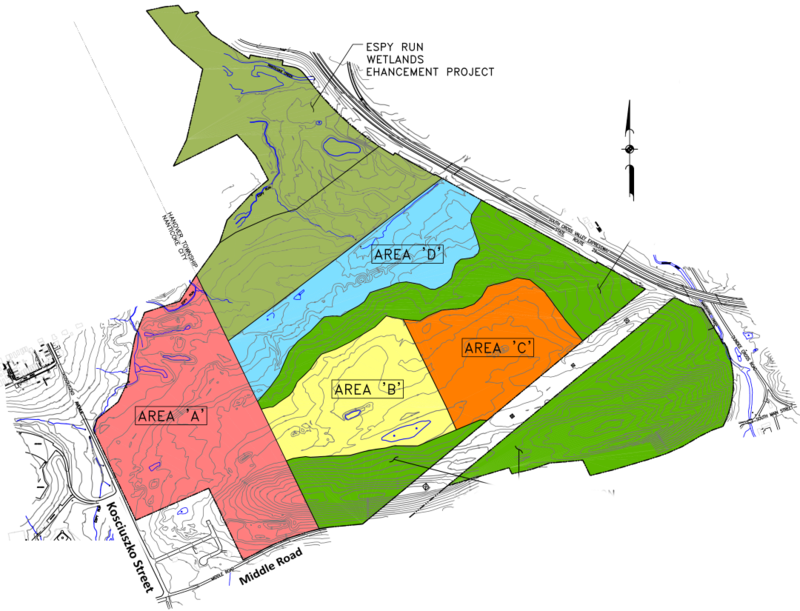 Pits often filled with water, which stagnated, becoming an ideal breeding ground for mosquitoes, and potentially West Nile Virus. 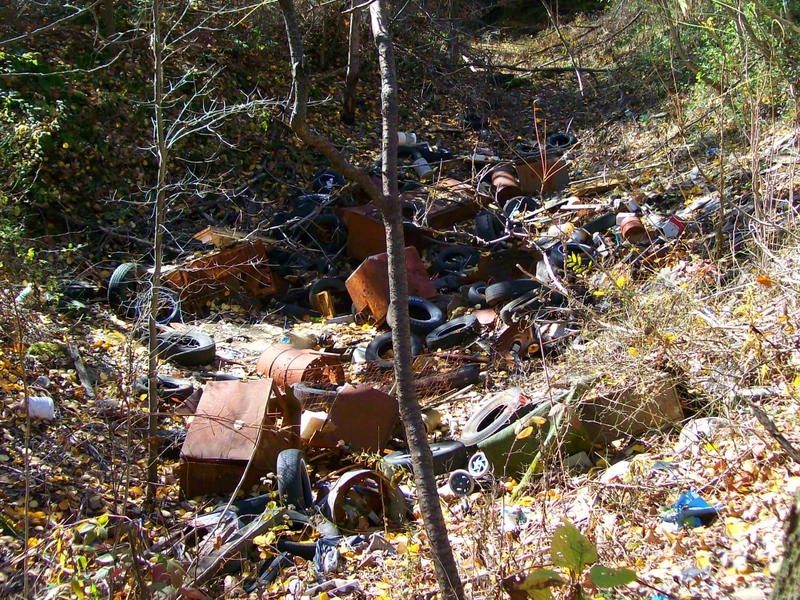 Because of its size and seclusion, Hanover 9 was also a prime spot for illegal dumping. 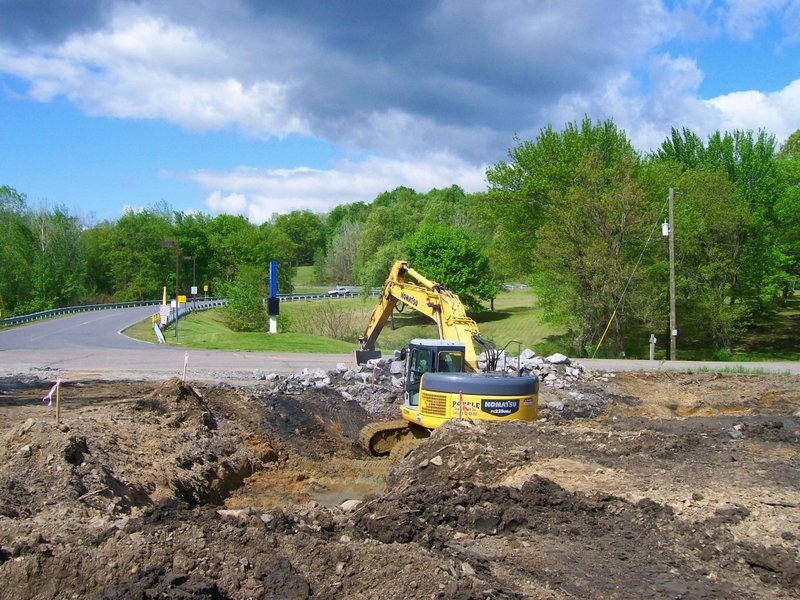 Work beginning on Parcel A, directly across from Luzerne County Community College on Kosciuszko Street. 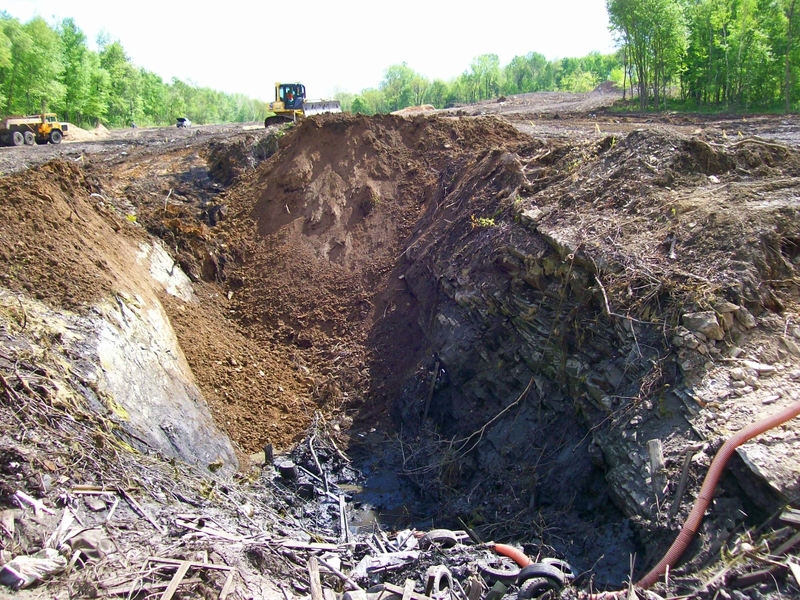 Work on one of the massive stripping pits on the Hanover 9 property, dug during an attempt to locate coal on the site. 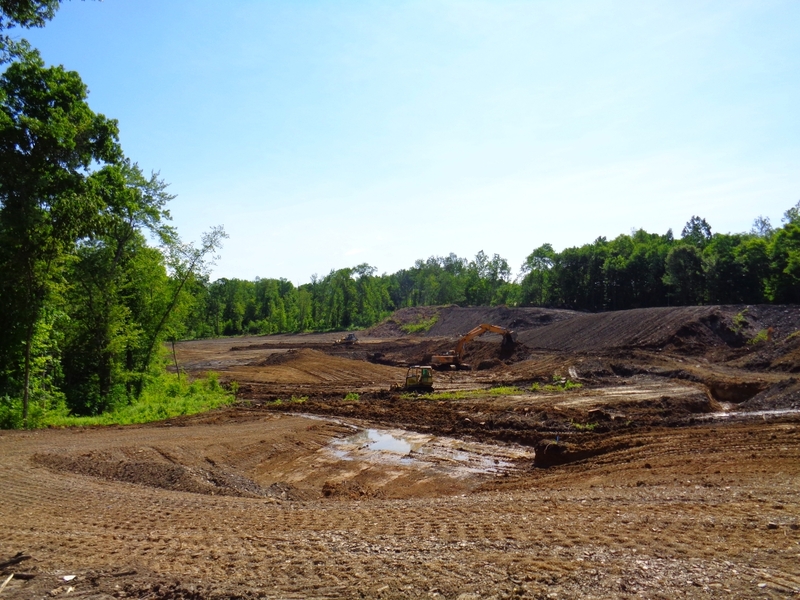 Grading operations on Hanover 9, Parcel A. 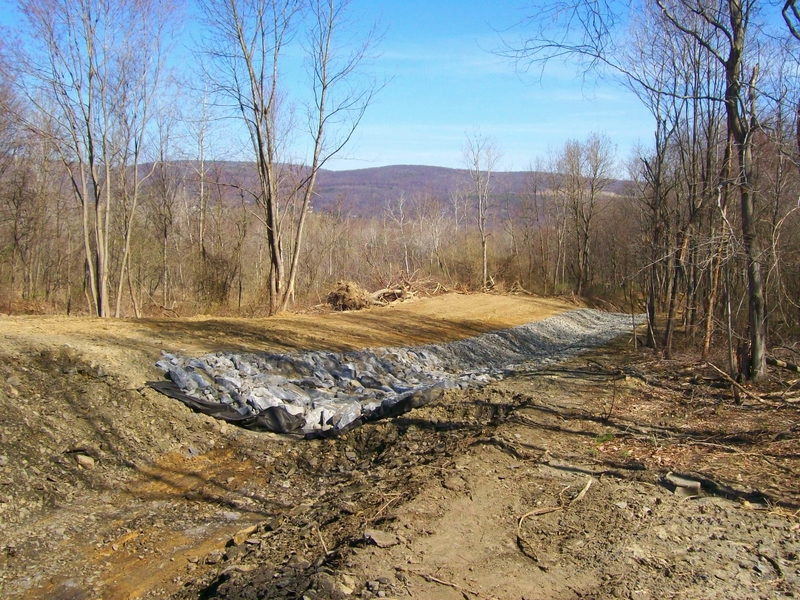 Work on one of the Hanover 9 stormwater management channels. 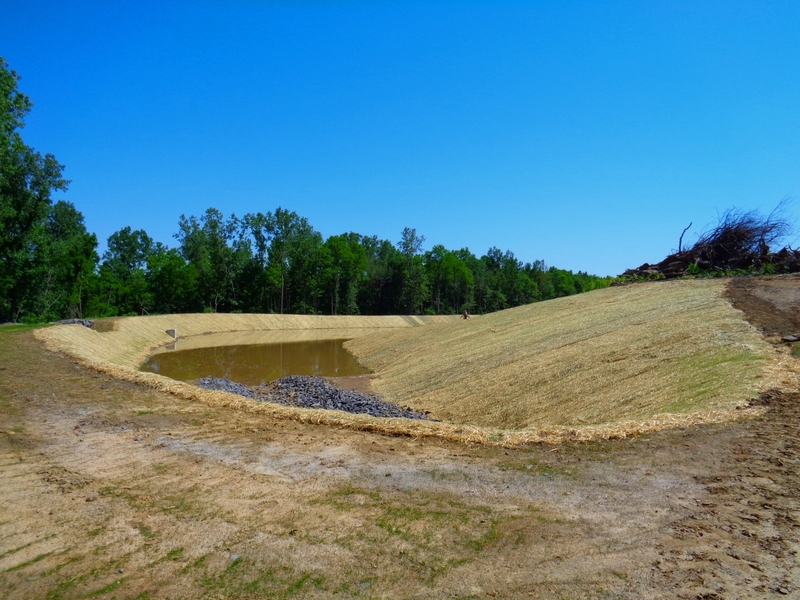 View of seeding work on the completed stormwater detention basin. 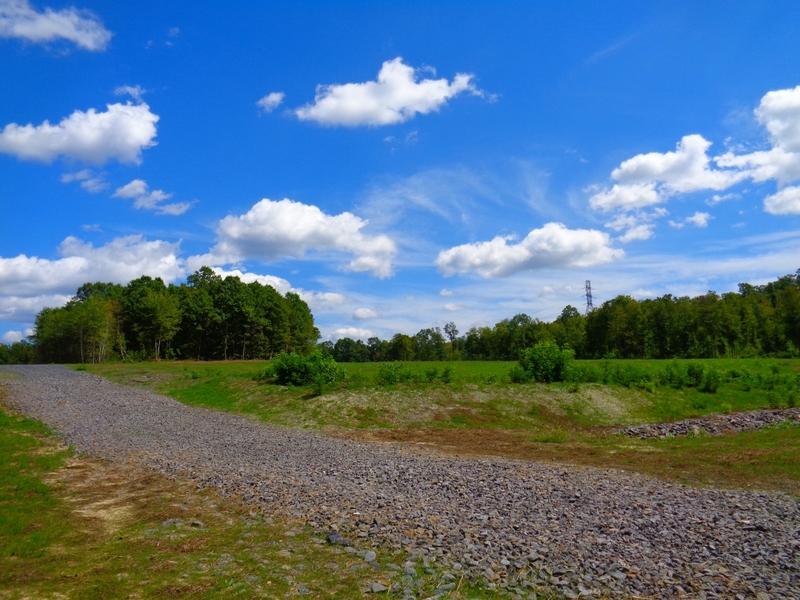 View of part of the completed Hanover 9, which is now available for mixed-use development. 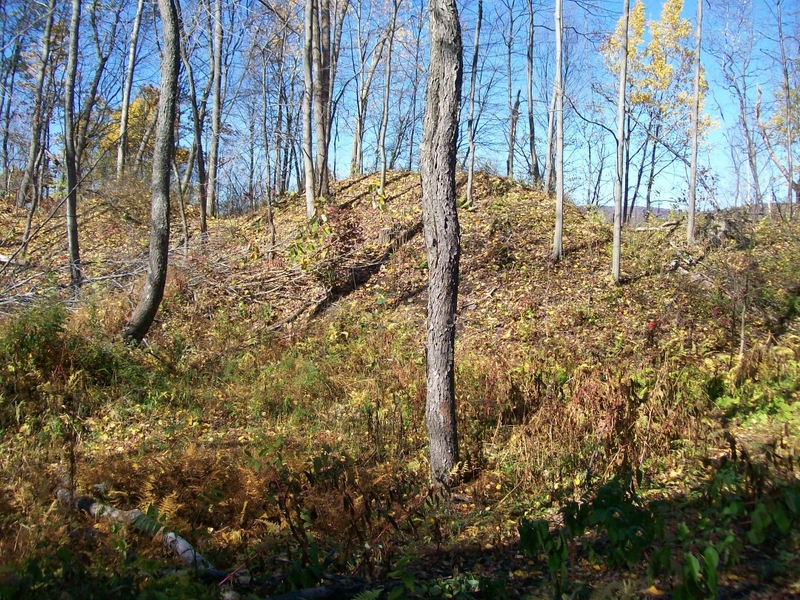 Large swaths of older-growth trees were preserved throughout the site to maintain greenspace. 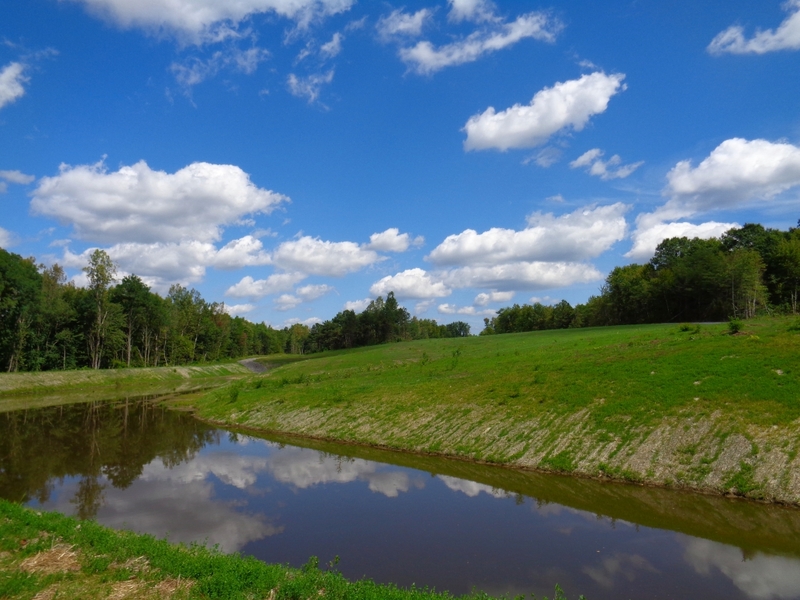 View including one of the many stormwater channels on Hanover 9. 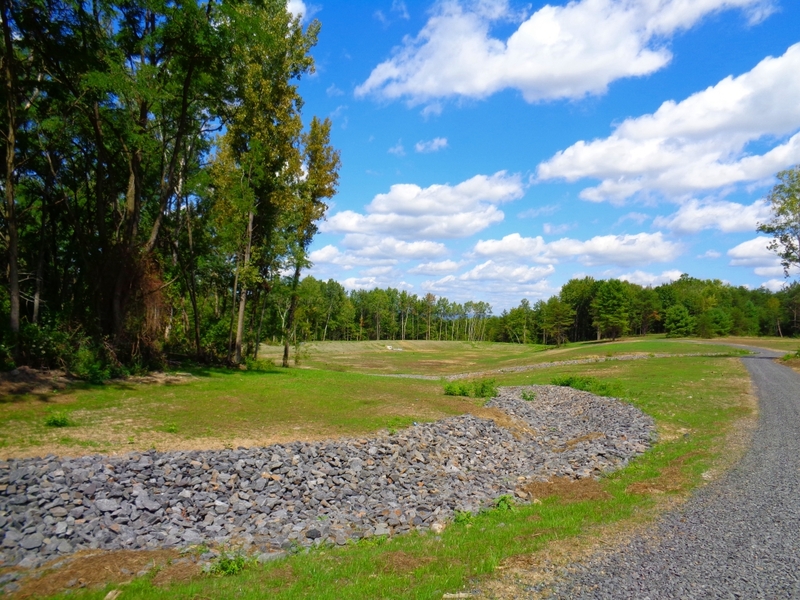 View of the completed stormwater detention basin on Hanover 9. 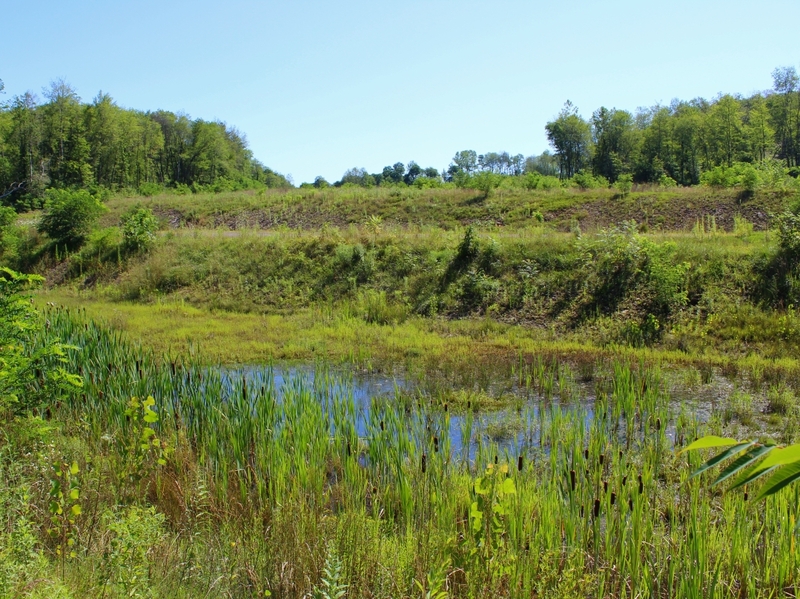 Wetland construction was an additional feature of Hanover 9. 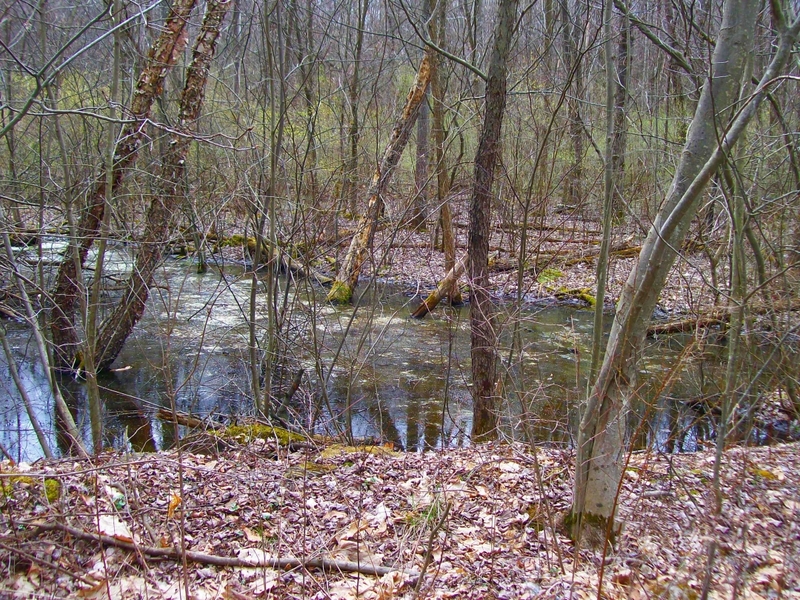 This basin on Parcel A sits nearby Kosciuszko Street.